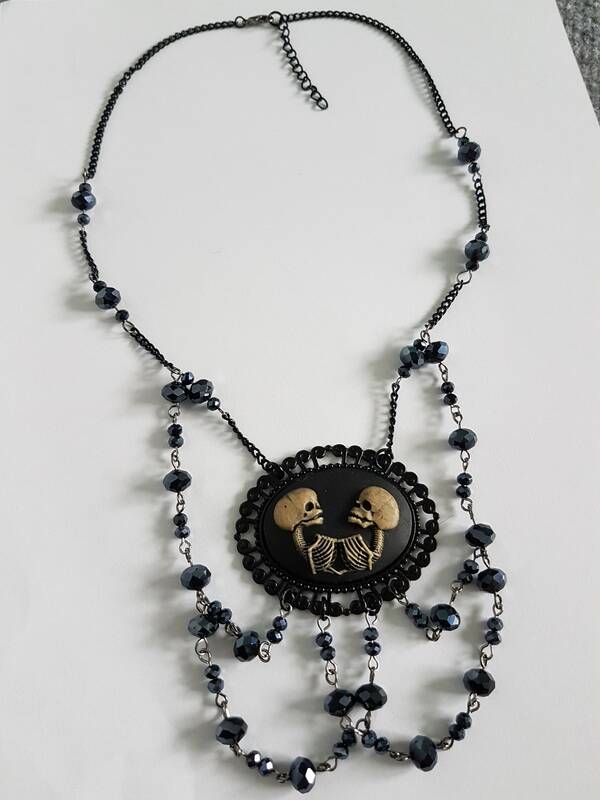 - 45cm longblack chain + 5cm extension chain to adjust to your size. 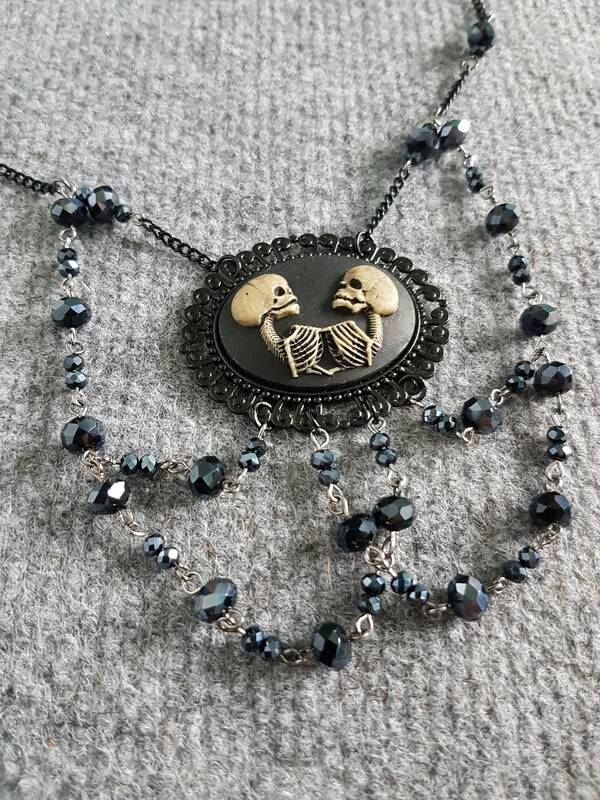 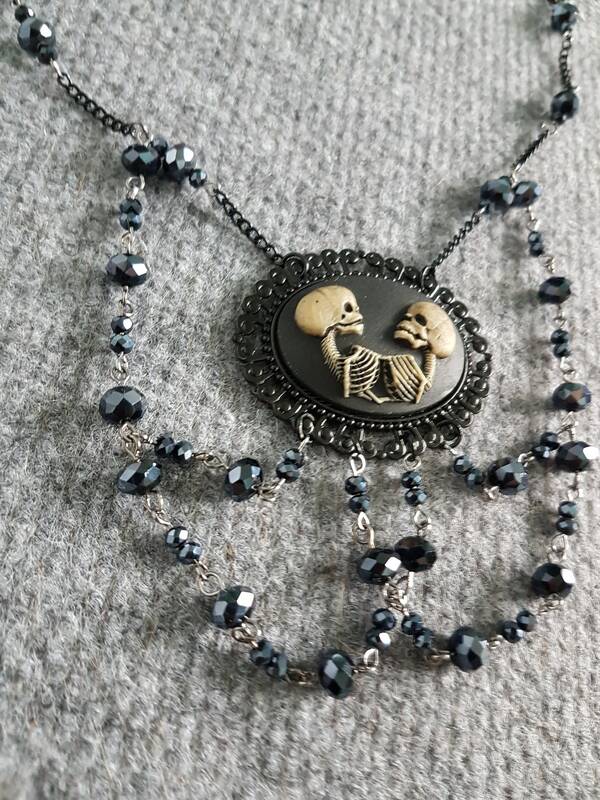 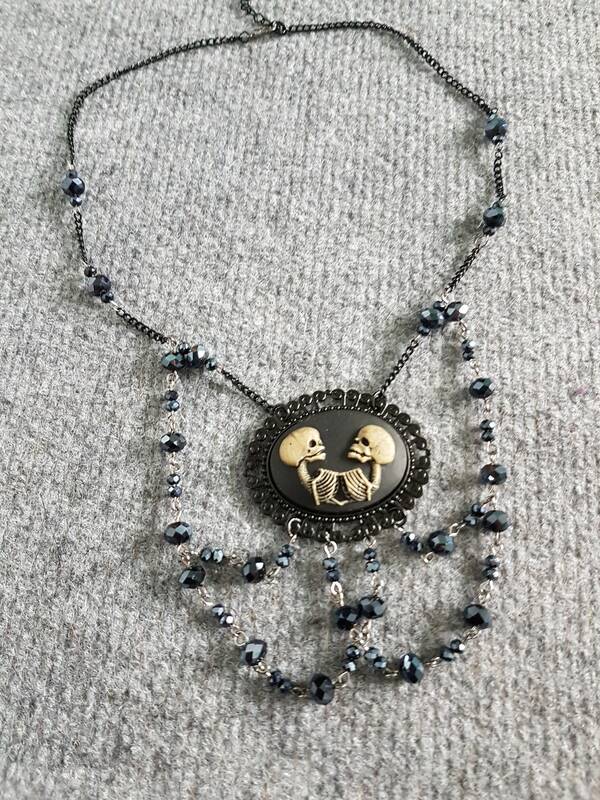 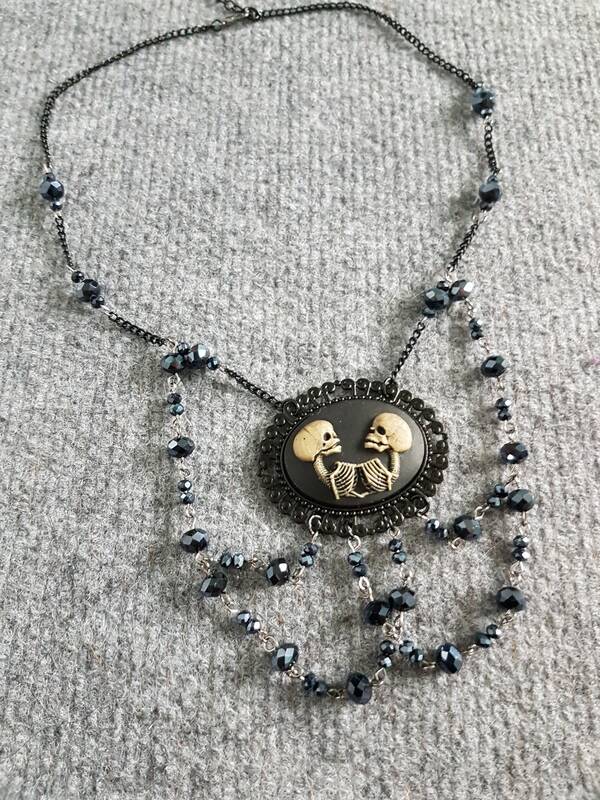 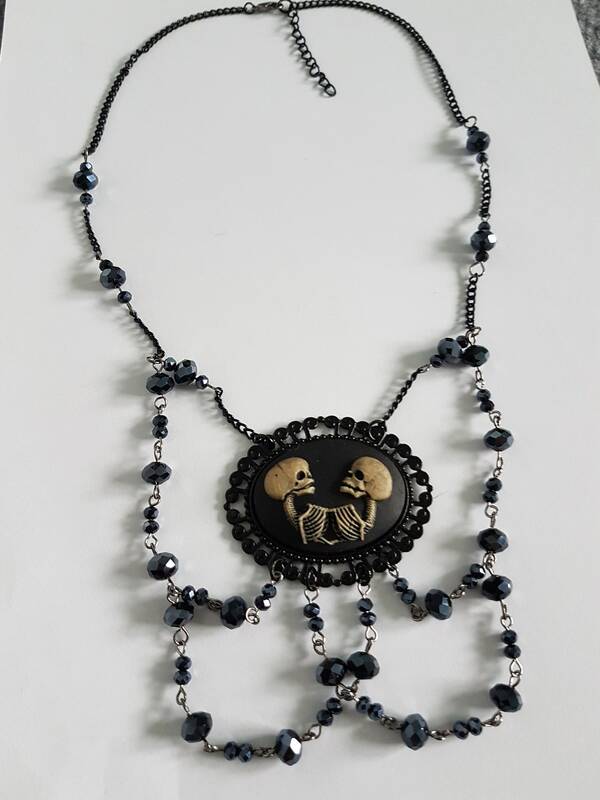 - Handmade and painted resin twin skeleton cabuchon. 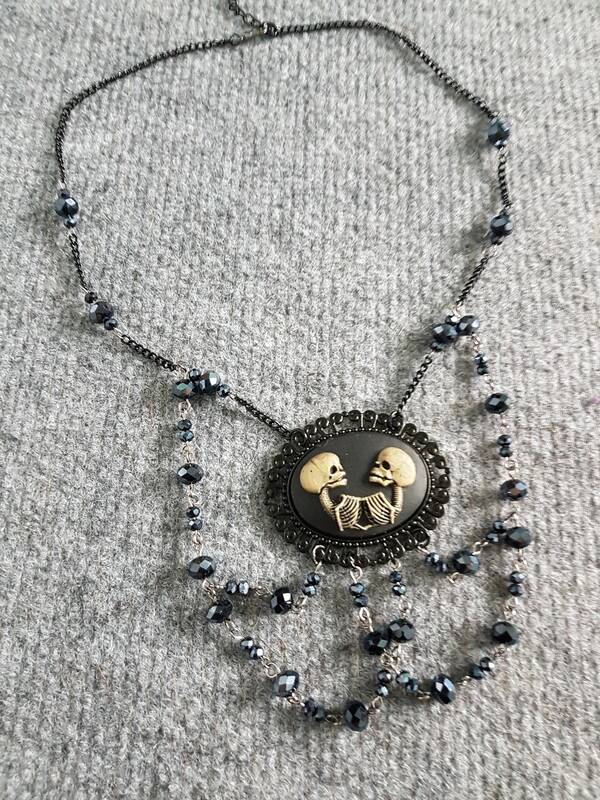 - Glossy shimmering black/blueish beads.